It can be difficult to settle into a routine when adapting to college. Having a preferred place to study can help alleviate some stress as it gets a student in the right mindset for productivity. It can be difficult to balance schoolwork with all other aspects of life such as food schedule, laundry and extra curricular activities. 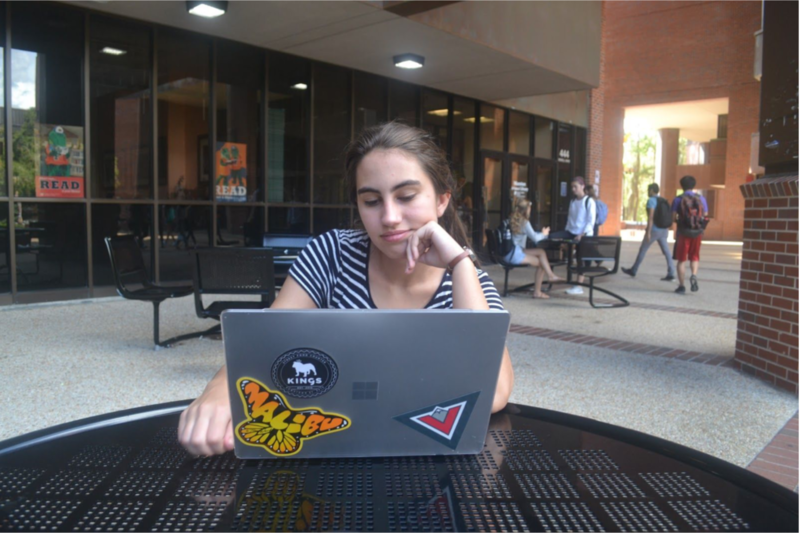 Four honors freshmen shared their favorite study spots on campus along with study tips. Iris Irby, a microbiology freshman, says that Marston Science Library’s fourth floor is her haven of productivity. The silence level on Marston fourth floor is ideal for Irby. There, if someone sneezes, it is more polite to stay silent than to say ‘bless you.’ Despite this, she says that the fifth floor, where total silence is enforced, is too intense. Irby outside of Marston Science Library, which she says is a good alternative to her preferred fourth floor study spot. “I’d lose myself if I went too high up the library,” said Irby. Irby also prefers Marston because can spread her materials out more than on lower floors because of the space in each cubicle. Additionally, she advises all students to put their phones away while they study, as this works best for her. “If my phone is out, I will get distracted,” said Irby. Irby says students should figure out what environment works best for them so that they can be most productive. Yinlu Zhu, a chemistry freshman, opts for Newell Hall because of its seating variety and more quirky features. The abundance of different seating choices allows her to go there regardless of her study mood. Zhu says that Newell is great for ultimate productivity, but when she needs a break from her work, it also functions as a very comfortable location for good-quality naps. It is optimal for people-watching and has good food choices. Zhu sitting on stairs in Newell Hall, one of the many study spots that exist within her favorite location. Zhu emphasizes the importance of knowing how one learns best and applying that to daily study habits. Personally, she is a visual learner. Pugh Hall was a hidden gem to Eva England, a history freshman, who discovered it because her Hebrew class is there. While she began studying there for convenience in her downtime, it quickly became her favorite study spot on campus. 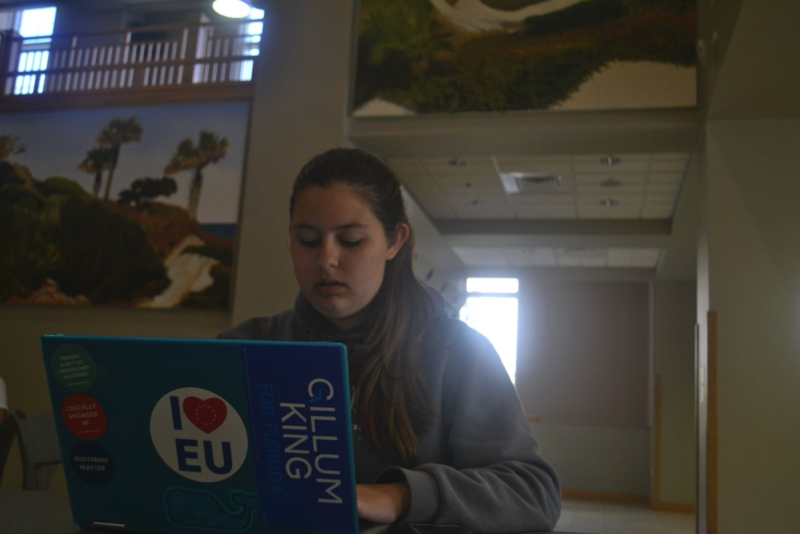 England originally started studying at Pugh Hall out of convenience, but now she goes there regularly to focus on her schoolwork. Some of the selling points of Pugh Hall, according to England, are the large tables, low volume of noise and non-harsh lights. As if these are not enough, there is a POD market within it for snacks and the paintings on the walls help create a nice ambiance. England urges students to get out of their dorms and have a designated study space. She believes that this is the key to succeeding as it minimizes the distractions of a new location. She finds it helps to always focus on schoolwork in the same location. Kat Hutt is partial to two locations to do her work. The physics freshman enjoys spending time with her Hume floormates in their common area while working. She says that it is fun to be around her floormates, but beyond that, it helps to study in a place where everyone has the same mindset. Hutt prefers studying in Plaza of the Americas when she wants an environment conducive to productivity. “They are constantly motivating me to be productive,” she said. However, Hutt still advises students not to always study with other people because it is much easier to get distracted while doing so. When she is not studying with her floormates, Hutt goes to Plaza of the Americas. This is ideal for when she has to concentrate on her work and maximize her efficiency. She loves taking a picnic blanket and being able to enjoy the outdoors while working. Each of these students has found a location that helps them stay focused and productive. 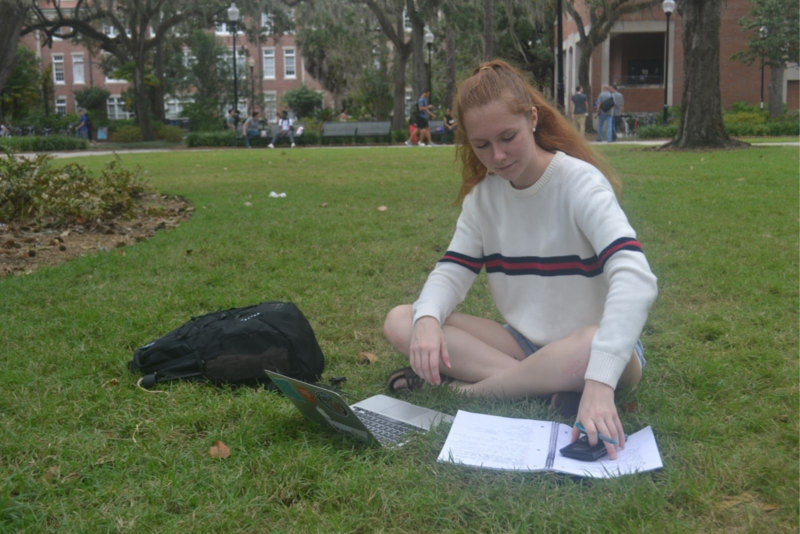 Their choices might not work for all, but students, especially those still adapting to UF, might do well in finding some places to study as well as habits that enhance their learning. Previous How Has Your Cultural Upbringing Shaped Your Life?